Swearing in B2B copy: f**k yeah, or goodness gracious no! B2B is moving towards more emotive, powerful and concise messaging, but is it possible for it to be too edgy? Could hard-hitting language put off audiences? Five years ago, these would have been just buzzwords, but as B2B moves towards more emotive, powerful and concise messaging, they are now the reality for all marketing agencies. But how edgy is too edgy? Swearing in B2B is always a pretty brave move, but that doesn’t mean you can throw caution to the winds completely. We’re still talking to business people after all, and more importantly, business people we want to forge relationships with. Anything too offensive (if it starts with an F or a C, you’re definitely going too far), or anything with any kind of racial or sexist tone is a firm no. Don’t even think about it. We’re trying to be impactful, not make enemies. Less is more when it comes to swear words. B2B agency Velocity (Doug Kessler specifically) is the master of getting just the right amount of rudeness, as evidenced by their now legendary Slideshare: Crap: the Content Marketing Deluge. Just enough cursing in the title to drum up immediate interest, but aside from a “shite” here and there, it never gets much harder, and the overall swear count is kept low. After all, if you fill your ebooks with countless swear words, you’re just replacing the meaningless jargon of yesteryear with another kind of filler. I think it’s safe to say that, even in the modern era, there are still plenty of people out there who will never appreciate rude language under any circumstances. Ever. You will not change their minds, so do not even try. In the end, it all boils down to making sure you understand your audience. I may be stereotyping a bit here, but I imagine you’d get away with far more cussing if you’re marketing a product to a cool new tech startup than you would presenting to an experienced, top-of-the-ladder CIO. Likewise, take geography and cultural factors into account as well. 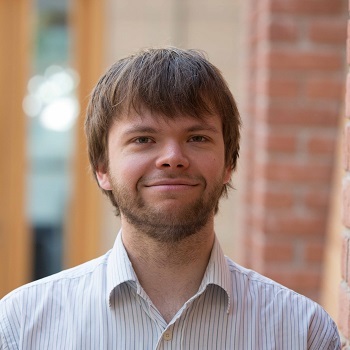 In his blog on why swearing doesn’t work in some scenarios, Scott Hanselman argues that swearing is much more likely to cause offence to American readers than their European counterparts. Zach Holman, developer of code collaboration tool GitHub uses some quite daring language in this excellent presentation on GitHub features, but he knows he’s talking to creative and forward-thinking developers, so he knows he can get away with a bit more rudeness than usual. Make sure you know who you’re talking to before you start dropping any swears. Just as a social media post will widely differ in tone to a white paper, so will swearing only really work in some types of content. Cursing is used most frequently in slideshows and other types of live presentation, and that’s where it really finds its groove. Other more formal types of ebooks, white papers and executive briefs, not so much. Conclusion: a race to the bottom? Swearing can add punch and intrigue to a piece, but you need to know why you’re using it, and what effect this technique can have. At best it’s arresting, at worst it just seems like you don’t have a better way of conveying your message – and it’s all too easy to come across as the latter. Liberal use of swearing is essentially a shock tactic designed to help you stand out, no different to any kind of marketing novelty. This isn’t a problem, but if everyone starts trying to stand out in the same way, that particular technique becomes the norm, and the rat-race starts up all over again. So is it ever okay to swear in a B2B piece? Certainly so, as evidenced by the multitude of sassy content already gaining traction in the crazy world of business. But just remember that there’s a time, place and an audience with which to use swear words. 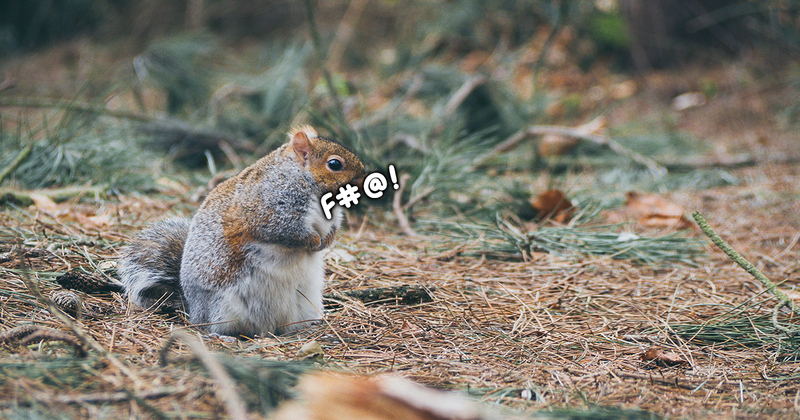 Get your content type right: Swearing works best in slideshows and live talks. Know your audience: Not everyone is ok with rude language. Use it for the right reasons: Occasional swearing can show passion about a subject, but overuse it and it becomes meaningless. Don’t overdo it: Keep it simple, and keep it light. No one likes a potty-mouth. Practice restraint: You’re not actually trying to cause offence. Keep really rude language, and anything of a discriminatory nature out of your marketing materials (and out of the rest of your life where possible). Did you enjoy this post? Then why not sign up for our monthly email for more copywriting insights. Does jargon kill B2B copy – or does it bring it to life? Marketers are told to rid their copy of jargon, but is that always a good idea? Matt looks at why jargon has an important role in B2B copy – and how you can use it effectively.